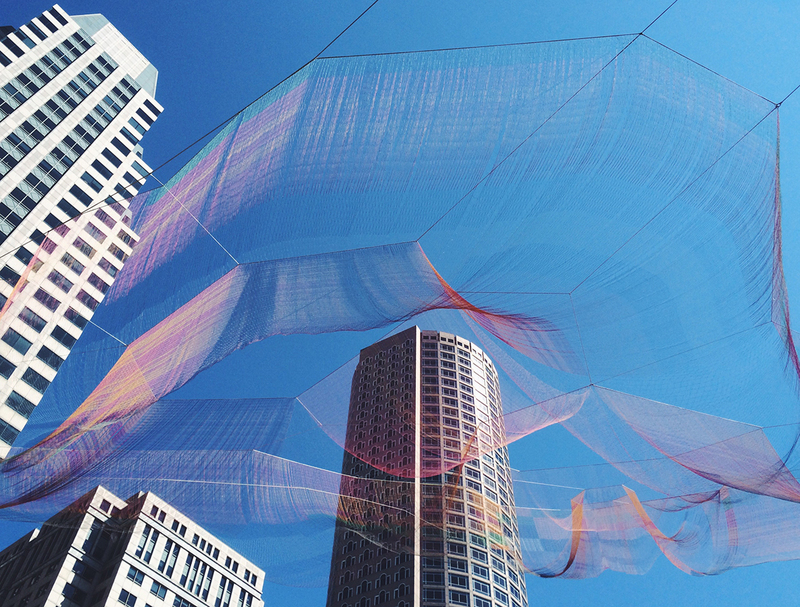 Before Janet Echelman’s “As If It Were Already Here” is—sadly—dismantled in October, the artist is partnering with the Rose Kennedy Greenway Conservancy to host a contest for the best photograph of the monumental aerial sculpture. Submissions must have been shot since May 3 and will be accepted through October 7. Finalists will be notified by October 12 and announced to the public by October 13. The first-place winner will receive $1,000, and their photograph will be featured on both Echelman’s and the Greenway’s websites. The second-place winner will receive a spot on the Greenway’s Mothers’ Walk, giving them a chance to inscribe a personal message or the name of a friend, mentor, or loved one on a paver that will be installed in the spring. The third-place winner will receive a “Greenway Grab Bag,” filled with a reusable grocery bag, 20 tickets for free rides on the Greenway Carousel, a framed picture of Echelman’s aerial sculpture, and other items. Additionally, a to-be-determined number of “honorable mention” submissions will receive a shout-out on the Greenway’s website and social media accounts. The photographs—digital only—can be submitted on Facebook, Twitter, or Instagram with the hashtags #GreenwayArt and #contest or emailed directly to the Greenway. For more details, visit rosekennedygreenway.org.